Last month we posted a host of road trip ideas for July. We hope you’ve had a chance to enjoy at least one or two of them. Not to overwhelm you, but I want to add just a few more to your “to do” list — they’re a bit farther way, but the focus is beer so it’s well worth your time. You’re welcome. 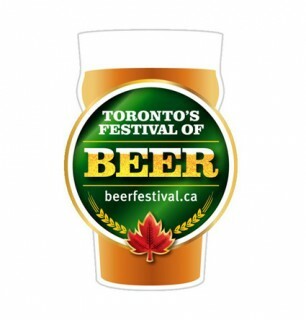 Hey Kichesippi, Toronto’s Festival of Beer is calling! Toronto’s Festival of Beer takes place July 27-29 at the Bandshell Park in Exhibition Place and features over 200 brands. Need more incentives to make the trek? Well, festival President Les Murray weighs in with more reasons to join. A few weeks ago I had a chance to visit Stratford and take in a show at the Stratford Shakespeare Festival during its 60th season. Most weekends, that alone is worth the drive. But, this year something totally different had me on the road to the charming small town. The Stratford Tourism Alliance recently introduced the Bacon and Ale Trail, to celebrate the area’s pork raising and brewing history. For $25 you receive five tickets that can be used at any of the 11 participating stores. From beer samples, bacon grilled cheese sandwiches, beer-infused soup, and beer soap, there’s something for every taste. And the best part? It’s a self-guided tour available year round, so it gives you an opportunity to really see the town on foot. Well worth it!